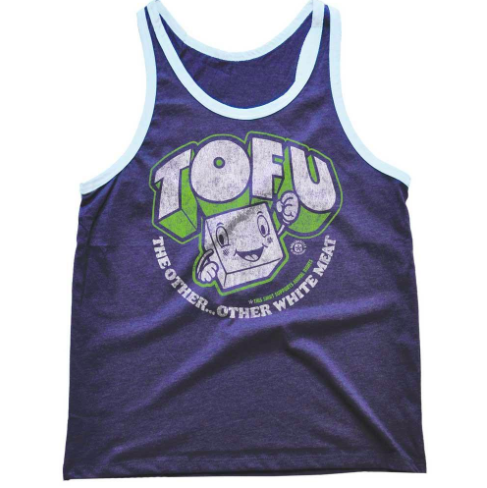 "Tofu - the other other white meat" is a quirky design that supports Green Mountain Animal Defenders. 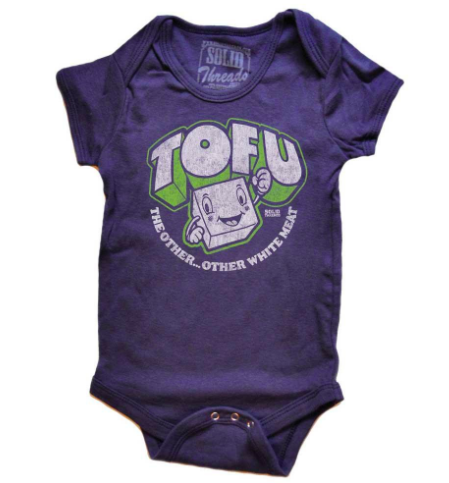 The Tofu shirt is a vegan recipe for smiles -- appealing to folks of all dietary preferences, and is a top national seller. Available for Men, Women, toddlers and babies. 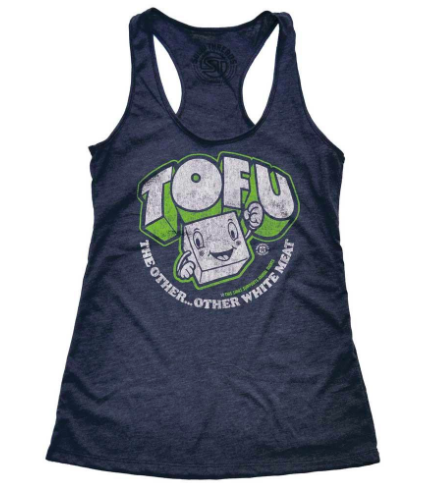 Tank tops for men and women. Kids need Books not Magazines to learn and grow. This tee, inspired by students in Parkland Fl., raises money (50% proceeds) to support Change the Ref, an organization working to protect children (and everyone) from senseless violence. This tee is available for men and women at Solidthreads.com. Click here for more tees we conceptualized/art directed, and here for our in-house VT line. 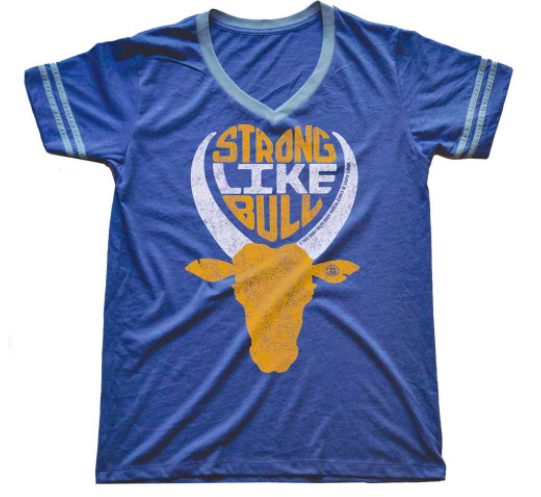 "Strong Like Bull" is supporting Sudef: an org founded by "Lost Boy" refugees, which provides medical care in S Sudan. With the iconic horns and a positive message, the design represents resilience and strength. 100% proceeds go to Sudef. Available as: Men's T-shirt, Women's T-shirt, Toddler tee, Baby onesies and as Men's retro V-neck and women's tank top. Achier posing in VT in his Strong like Bull tee before returning to S. Sudan to start a maternal health clinic and train local nurses. S. Sudan has only 1 doctor for 60,000 people. Achier Mou, (above) is a Sudef Board member who was separated from his family as a child and has returned to S. Sudan to establish a health-training institute and reconnect with his mom after 20 years! To read an interview with Achier, click here.